Are you looking for a professional Audit NonConformance example report for Small and medium-sized enterprises? We provide this Audit Non Conformance Report template that will enable you to perform your own auditor ask a third party to use it. 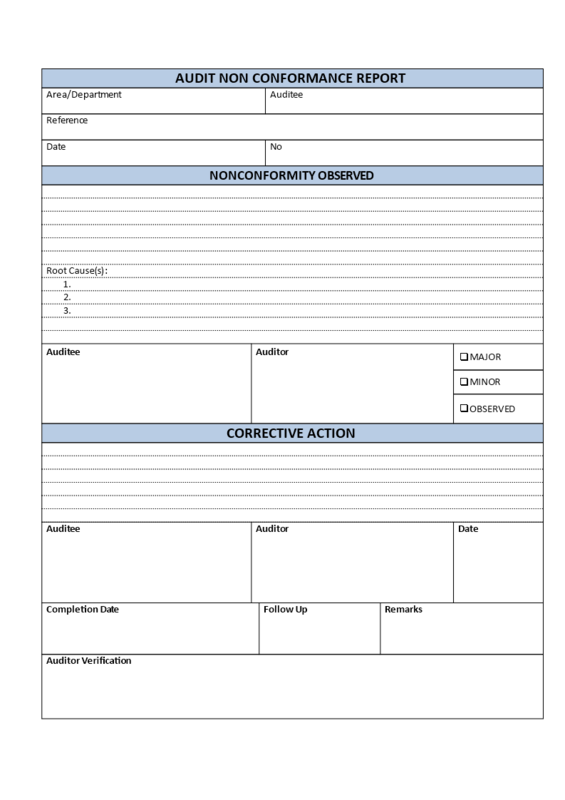 This Audit Non Conformance Report template is created and screened by auditors. Using our auditing templates guarantees you will save time, cost and efforts! Download this SME Audit Non-Conformance Report template now!